"I'm so tall, I'm so tall/you raise me and then you let me fall" - oh, I bloody loved Blancmange, the unlikeliest duo in 80s synth-pop (apart from Yazoo). One half was seven-foot tall gangly springy-haired Neil Arthur, the other was pint-sized blondey Stephen Luscombe and together they released some cracking tunes such as "Living on the Ceiling", "Waves", "Game Above My Word", "Don't Tell Me", "Feel Me" (recently covered rather well by Faithless) and the sumptuous cover of Abba's "The Day Before you Came". When just about every other synth-pop act is doing the rounds on revival tours, it looks as though the 'Mange have a load of new tunes to bring with them - "Blanc Burn", their fourth studio album, gets a release on 28th February and is their first in 25 years since "Believe You Me" in 1985. Now what about that 2011 tour? Songs old and new will fill the air in Glasgow on 6th March, followed by Manchester, Sheffield and more until 15th when they return to London. Tickets went on sale this morning, priced at £16-£18.50 and are sure to sell through pretty quick. 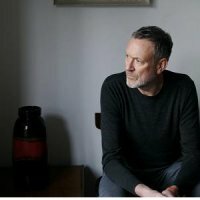 Since Blancmange folded in the mid-80s, singer Neil Arthur released a solo album in 1994 and Luscombe co-ordinated the arty dance and world-music ensemble West India Company in the late 80s, producing just the one album "Music from New Demons" (I've got this - it's not too shabby!). Fri 26th Apr 2019 BlancmangeChinnerys (Southend)More Info..